The Huawei P Smart (2019) is a new mid-range smartphone from the Chinese firm, borrowing some flagship features and mixing them with more affordable components. The P Smart (2019) packs in a 6.21-inch full HD 'dew drop' display, a Kirin 710 chipset, 3GB of RAM, 64GB of storage, 13MP+2MP rear cameras, 8MP front snapper and a 3,400mAh battery. Huawei's own EMUI 9 interface has been placed on Android 9 Pie - the latest software from Google. You'll be able to get the new Huawei P Smart in three colors; Midnight Black, Aurora Blue and Turquoise Blue from January 10. It will initially be available from Carphone Warehouse, Vodafone, A1, Amazon, AO.com, Argos, Clove, Fonehouse, John Lewis, Sky Mobile, Tesco Mobile and Virgin Mobile. It will then come to EE on January 11, and O2 and Three later in the month. 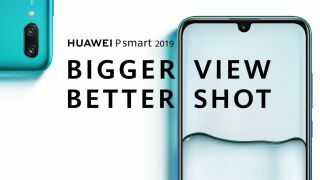 There's currently no word on the Huawei P Smart (2019)'s price, but going by the P Smart it's replacing we are probably looking at around £200 SIM free.